This reading list is the one I gave my students at Harvard’s Kennedy School in 20008. This week, as we remember the nearly 3,000 American citizens who died in the rubble of the World Trade Center and the Pentagon or in a remote field in Pennsylvania on Sept. 11, 2001, we also should think about the civilians who are still dying in Afghanistan. Consider, for instance, the recent American airstrikes on Azizabad, a village in western Afghanistan, on Aug. 22. The United Nations, Afghan government officials and independent witnesses all say that the United States killed about 90 civilians in these strikes, most of them women and children. Cellphone videos of the scene show motionless children lying under checkered shawls and veiled women shrieking alongside them. Seven years after 9/11 the author of the largest mass murder in American history is free, almost certainly living in Pakistan, which is, at least nominally, a close ally in the US-led ‘war on terror’. As he no doubt savors the anniversary of his greatest “triumph” Osama bin Laden seems untroubled by serious kidney illness as was once rumored, nor does he appear to be troubled by American efforts to find him. In late May, some 40 Pakistani journalists received a summons to an unusual press conference given by Baitullah Mehsud, the rarely photographed leader of the Pakistani Taliban, who is accused of orchestrating the 2007 assassination of Benazir Bhutto, of sending suicide bombers to Spain earlier this year, and of dispatching an army of fighters into Afghanistan to attack U. S. and NATO forces in recent months. Surrounded by a posse of heavily armed Taliban guards, Mehsud boasted that he had hundreds of trained suicide bombers ready for martyrdom. If the 20th century really began with the assassination of Archduke Ferdinand in August 1914, which set in motion the start of a series of intra state wars so brutal they killed tens of millions, then surely the beginning of this century was announced by the attacks of September 11, the harbinger of a new kind of war waged with spectacular acts of terrorism by non-state20groups that seem likely to be a defining feature of the century to come. Sunday, Aug 17, 2008 Al-Qaeda At 20… … Dead or Alive? Two decades after al-Qaeda was founded in the Pakistani border city of Peshawar by Osama bin Laden and a handful of veterans of the war against the Soviets in Afghanistan, the group is more famous and feared than ever. But its grand project — to transform the Muslim world into a militant Islamist caliphate — has been, by any measure, a resounding failure. Binnen Minuten nach Noman Benotmans Ankunft in der Herberge in Kandahar kam Osama Bin Laden herbeigeeilt, um ihn zu begru?en. Die Fahrt von Kabul hierher war anstrengend gewesen: 17 Stunden in einem Toyota-Pick-up, der uber das holperte, was als Hauptverbindungsstra?e zum sudlichen Afghanistan bezeichnet wird. In jenem Sommer 2000 war Benotman – seinerzeit einer der Anfuhrer einer Gruppe, die den libyschen Diktator Muammar Gaddafi sturzen wollte, von Bin Laden zu einer Versammlung von Gotteskriegern aus der gesamten arabischen Welt geladen worden. Es handelte sich um die erste Konferenz dieser Art, seitdem al-Qaida 1996 nach Afghanistan ausgewichen war. Benotman, Spross einer von Gaddafi entmachteten Aristokratenfamilie, kannte Bin Laden von ihrem gemeinsamen Kampf gegen die kommunistische Regierung Afghanistans in den fruhen 90er-Jahren. Damals hatte sich Benotman zu einem der Kopfe der militanten Libysch-Islamischen Kampfgruppe (LIFG) aufgeschwungen. 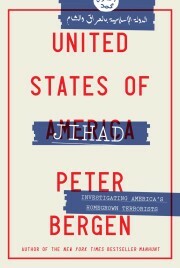 Thursday, Jun 12, 2008 Al Qaeda in Iraq: Leaderless Jihad or Well-Organized Insurgency? In a great journalistic coup, Michael Ware and the CNN team in Iraq have unearthed the largest collection of al Qaeda in Iraq material outside the hands of the US military. What they found in this collection of videos and memos underlines a key aspect of the al Qaeda organization in Iraq; it is highly organized, and not simply a loosely-knit collection of jihadists. Within a few minutes of Noman Benotman’s arrival at the Kandahar guest house, Osama bin Laden came to welcome him. The journey from Kabul had been hard, 17 hours in a Toyota pickup truck bumping along what passed as the main highway to southern Afghanistan.